Danny L. Miller abstracted the original census documents. An index lists names of those counted, with suggested surname similarities that assist in identifying listings. 153 pages. Limited quantities available. On Sale! Was-$14.99, now only $6.99! 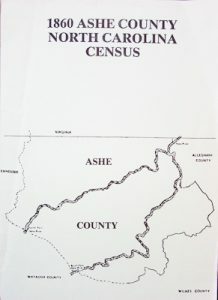 The most detailed census of Ashe County available. Get yours today!